A piece from one of Ai Weiwei's most enigmatic series will be coming to auction at the end of this month. Discover more behind Weiwei's Divina Proportione. This piece is part of Ai Weiwei's 2004 series Divina Proportione, which was made up of nine different sized balls each made of a different material. The idea for the piece came to the artist whilst watching his cat play with a plastic ball in his workshop. The title of the series refers to the mathematical treatise by Luca Pacioli from 1497, which was illustrated by Leonardo da Vinci. Although simple to look at, each ball in the series is inspired by traditional Chinese furniture making, with each complex ball taking a year to complete. For the series, Weiwei, laboured over the relationship between shape and ratio, structure and texture. Weiwei transforms an everyday object, a cat toy, into a piece of traditional Chinese craftsmanship. 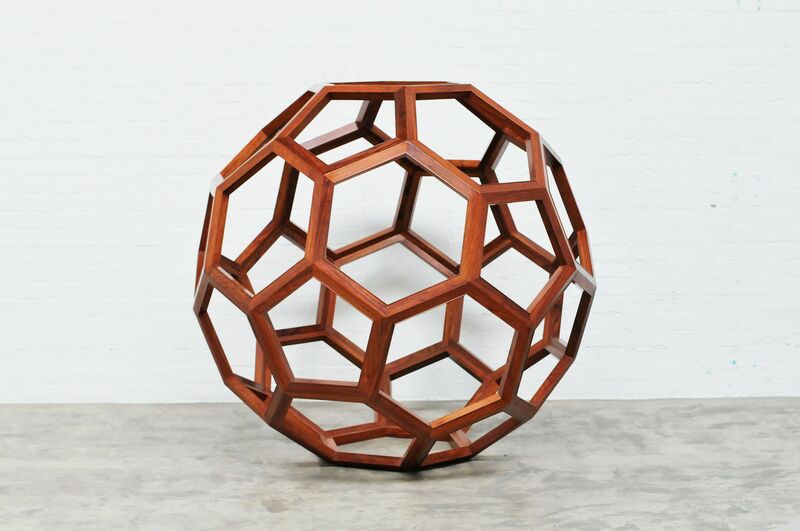 To build the piece, Weiwei did not use nails or screws, instead he manipulated the Huali wood to create his form. During the Ming period, Huali was the most sought-after material and was used only to craft the highest quality of furniture. The object he creates came together because of the blending of different methods, materials, functions and histories. The identity of Wooden Ball is ambiguous, belonging to both contemporary and ancient times, representing the changes society experiences as humanity advances and old traditions are done away with. Grisebach's Art auctions will take place from 29th November to 2nd December, 2017. Check out more here.